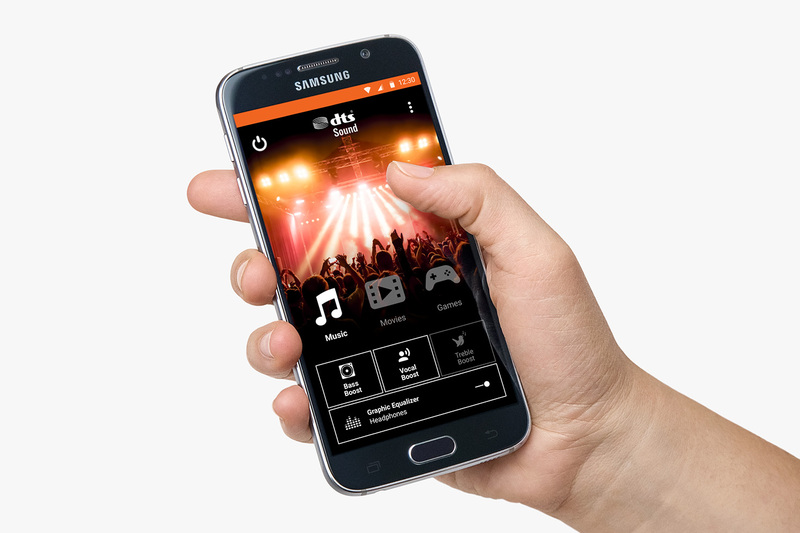 DTS licenses multiple audio enhancement technologies to Android device manufacturers so that consumers can enjoy high quality immersive audio experiences over headphones and with the built-in speakers. To help simplify the technology integration effort, as well as hopefully inspiring our partners, DTS creates "reference" apps for changing advanced DTS audio settings which manufacturers are free to integrate as-is, modify, or ignore completely and do their own thing. This immersive image design direction followed in the footsteps of its sister app on the PC, the 'DTS Audio' Windows reference app that had been completed a few months prior. Posted here are screen mockups we gave to the engineering team as part of the UX deliverables. I'm glad to say that the engineering team did a great job implementing the UI, as well. A few Android device manufacturers integrated this app into their products mostly as-is, and we received a lot of great feedback from our partners on the overall design. These designs compare extremely favorably to our competitors who also offer embedded audio enhancement solutions. 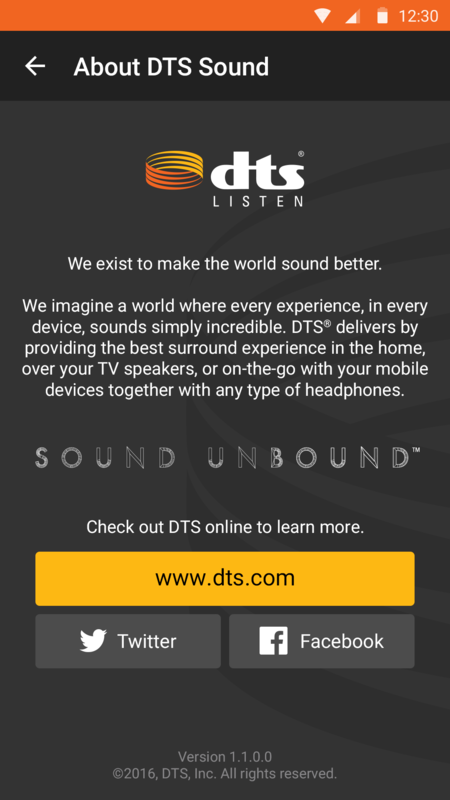 The DTS Sound app looked great on Android devices. The app offers an immersive visual experience, with the high resolution background image changing depending on the user-selected Content Mode. 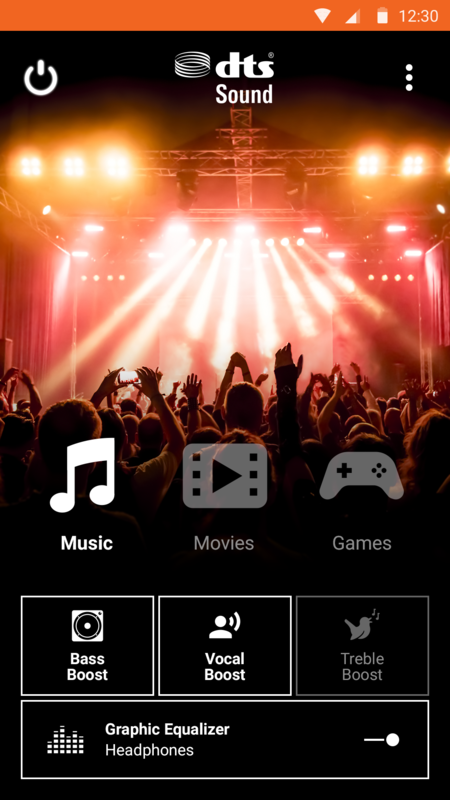 The Content Mode creates optimized listening experiences for different kinds of content. With this design approach, I wanted to craft an emotionally engaging experience that felt more relatable and human to the user rather than abstract and technical. In addition, this design would feel familiar to Windows PC users who had experienced the 'DTS Audio' app. 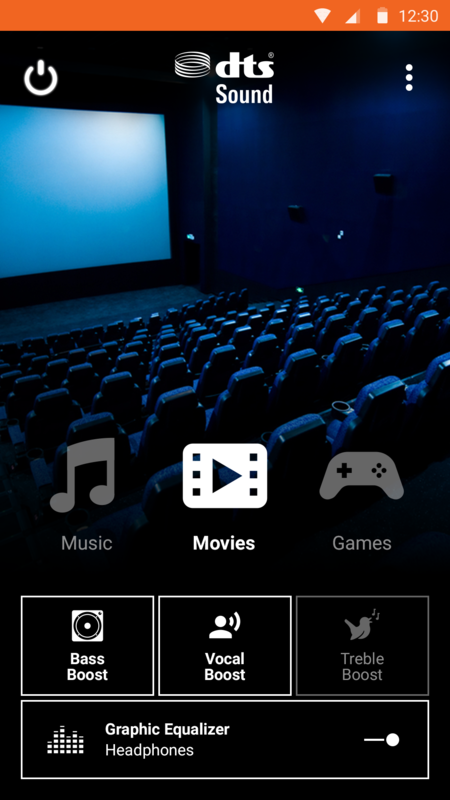 This content mode is optimized for movies encoded in multi-channel surround sound. The image of the movie theater not only subtly reinforces the expectation for an immersive surround sound experience, but is also highly relatable across cultures. This content mode is optimized for video games. 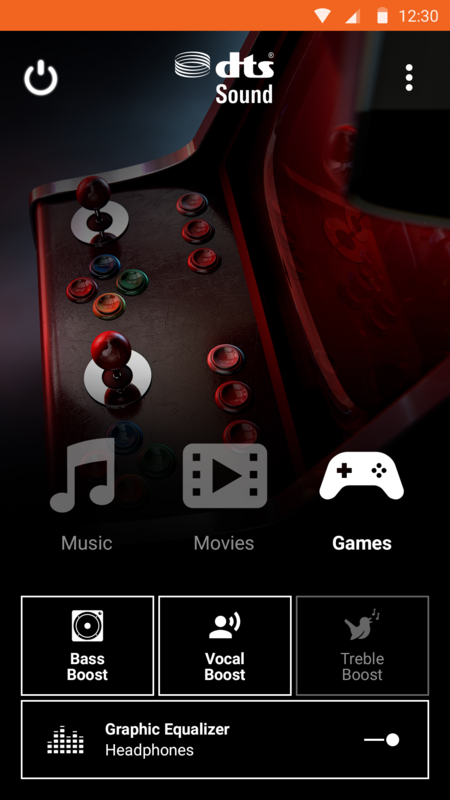 We went for a more retro gaming design so that it was relatable across cultures, wouldn't alienate Android device manufacturers facing competition from game consoles, and didn't favor a specific video game. It's a tough balancing act. This app featured a basic 5-band graphic equalizer with no presets. As more of a reference app that the Android manufacturer was free to customize or ignore, it was determined that it would be better to leave the definition of EQ presets to the manufacturers. 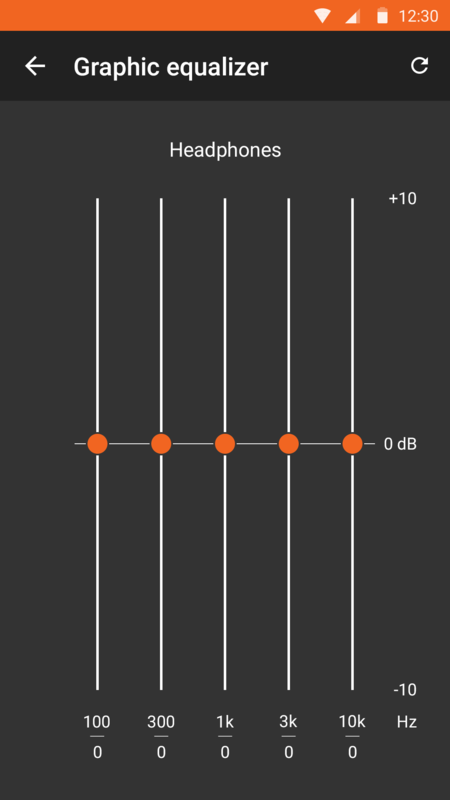 In this app, the user could enjoy different EQ settings for headphones and the built-in speakers. Following the 'DTS Audio' Windows App where I worked with the Marketing and Legal departments to standardize content for our About Screens, the design for this screen was much easier. 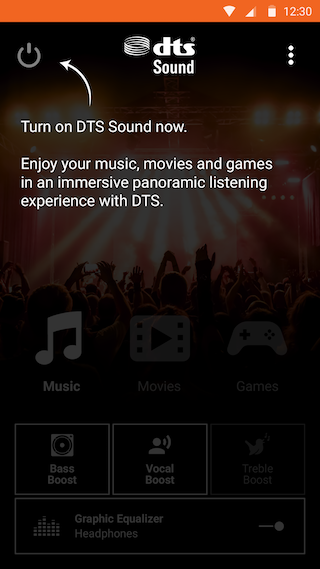 The user is free to turn off all DTS enhancements on the device for both headphones and the built-in speakers. Rather than just showing all of the UI controls in a disabled state, I wanted to show something more interesting. I worked with Marketing to craft a message explaining the benefits of the technology in a relatable and easy to understand way.